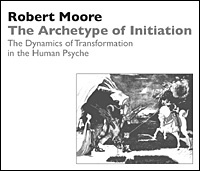 In this program, Dr. Moore gives an overview of his three decades of research on the archetype of initiation and its role in our personal, cultural, and spiritual lives. He describes the ways in which this archetype organizes much of our experience without our realizing it. Utilizing the phenomenology of Mircea Eliade, the anthropology of Victor Turner, Edinger’s classical Jungian theory, and his own neo-Jungian structural psychoanalysis, Dr. Moore gives a framework to raise our level of consciousness with regard to the initiatory processes which are constellating in us at this time. Through working deeply on this topic, we can hope to transform what Jung called “repressed individuation” to a more conscious engagement with our individuation process.